This modern optic “Distinction Mug” has versatile uses. The name says it all as it’s incredible luminosity in these glasses is a beautiful way to set off the look of the beverage with distinction. Made in USA. 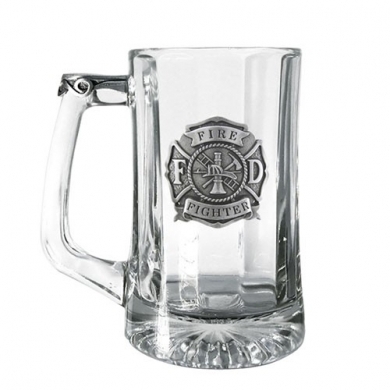 It hosts a hand crafted genuine lead free pewter mug crest, you can choose from one of our many stock crests or you can choose to fully customize your piece. Price: Includes a Custom Pewter Crest and Pewter Thumb Piece. Call us for additional options. Paint: Add $0.50 per color. $150.00 one time set-up charge.